A unique necklace in a rainbow of colors! 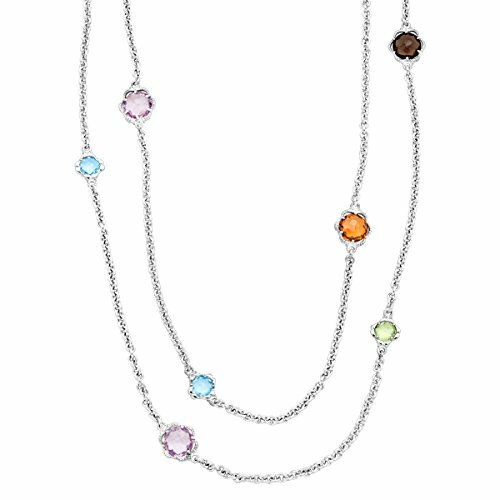 Round-cut natural blue topaz, peridot, pink amethyst, smokey quartz and citrine with a total weight of 8 1/10 ct, form stylized floral designs stationed on a sterling silver cable chain. Piece measures 36 inches in length.